Charles I of England summons Parliament in an attempt to fund the second of the Bishops Wars against the Scottish Covenanters. This attempt fails after the refusal of the House of Commons to vote subsidies for the King unless royal abuses are addressed, which the King does not wish to do. The Treaty of Ripon ends the Second Bishops War with terms deeply humiliating to Charles I.
Portugal, on the verge of rebellion, secedes from Spain and becomes an independent nation once again. Duke João II of the House of Braganza accedes to the throne as King João IV. Dara Shikoh, eldest son of the Mughal Emperor Shah Jehan, becomes a disciple of Mullah Shah, a successor to the Sufi saint Mian Mir, who Dara Shikoh had visited while seriously ill and after which he recovered. Seven hundred people are killed by a tsunami caused by the eruption of Mount Komagatake in Yapon [Japan]. The English Long Parliament passes legislation designed to contain the absolutist tendencies of King Charles I.
Charles I of England flees London for the north. The Gaelic Irish in Ulster revolt against English settlers. The Dutch found a trading colony on Dejima, near Nagasaki in Yapon [Japan] after the Yaponese grant the Dutch a trade monopoly. Malacca is taken from Portugal by the Dutch after a five month siege. Dutch explorer Abel Tasman discovers New Zealand. Frenchman Blaise Pascal begins work on a mechanical adding machine that becomes known as the 'Pascaline'. The Puritans close all theatres in England. Dara Shikoh, eldest son of the Mughal Emperor Shah Jehan, completes a biography of the Sufi saint Mian Mir and his principal disciples. King Louis XIII of France dies and is succeeded by his son, who becomes King Louis XIV. The English colonies of Massachusetts Bay, Plymouth, New Haven, and Connecticut join together in a loose compact, the United Colonies of New England (though it is generally known as the New England Confederation). This unites the Puritan colonies against the Indians, provides for the return of fugitive criminals and indentured servants, and serves as a forum for resolving inter-colonial disputes. [With his sister uninjured, her brother Prince Aurangzeb, the third son of Shah Jehan, does not incur the wrath of his father by returning to Agra three weeks after the event, instead of immediately upon hearing of it. Thus he remains the Subahdar Governor] of the Deccan. In China, a peasant revolt led by Li Zicheng sacks Beijing, prompting Chongzhen, the last emperor of the Ming Dynasty, to commit suicide and bringing an end to the Ming Dynasty. They are succeeded by the Qing Dynasty, sometimes known as the Manchu Emperors, a line of rulers founded by the regent Dorgun. Tsar Aleksey I comes to the throne in Russia. Blaise Pascal completes the first version of his 'Pascaline', a mechanical calculating machine. English merchants of the Muscovy Company are expelled from Russia. Aurangzeb is remembered as a sort of Holy Fool, who had great promise as a future leader, but who was also far too pious to live in the real world. King Charles I promises church reform. Sultan Mumtaz Shikoh, the second child and second son of Dara Shikoh, dies. Shah Jehan sends an army into Bukhara to avenge the death of his son, Aurangzeb. The Uzbek people are hunted and exterminated wherever they are found, and many of them flee to the north. England's Long Parliament breaks off negotiations with King Charles I, leading to the Second English Civil War. The Dutch and the Spanish sign the Treaty of Munster, ending the Eighty Years' War. The Fronde civil war begins in France. The Treaty of Westphalia ends the Thirty Years' War. In England, the Rump Parliament finds King Charles I guilty of treason, and sentences him to be executed. The Red Fort at Agra in the Mughal Empire is completed. The Persians reclaim Qandahar from the Mughal Empire, who persuaded the Persian governor, Ali Mardan Khan, to hand Qandahar over to them in 1638. The Bering Strait is discovered by Semyon Dezhnev. King Charles I of England, Scotland and Ireland is beheaded. His widow Henrietta Maria goes to live in her native France. The Commonwealth of England replaces the monarchy in England and later in Scotland and Ireland. Prince Charles Stuart declares himself King Charles II of England, Scotland and Ireland. In Edinburgh he is declared King in his absence. The Mughal Empire unsuccessfully attempts to retake Qandahar from the Persians. Oliver Cromwell lands in Dublin and begins the conquest of Ireland. Claimant King Charles II of England, Scotland and Ireland arrives in Scotland. The Third English Civil War begins. In Ireland Archbishop James Ussher uses the genealogy listed in the Bible to calculate the age of the Earth. From his calculations, the Earth was created at midday on October 23th, 4004 BC, and is thus some six thousand years old. This leads to the Doctrine of Catastrophism in which the Earth has been shaped by series of giant disasters, fitting many processes into a short time scale. The last of five building projects in the city of Shahjahanabad commissioned by Jahanara Begum, the oldest daughter of Mughal Emperor Shah Jehan, is completed. Omani ships and merchants begin acquiring former Portuguese colonies in East Africa and engaging in the slave trade. Trade with the Mughal Empire and the South Indian states helps to keep the Imamate of Oman strong. Charles II of England is defeated in the last main battle of the Third English Civil War, at Worcester. Cape Town is founded by the Dutch. Disagreements over trade lead to the beginning of the First Anglo-Dutch War. The Mughal Empire again unsuccessfully attempts to retake Qandahar from the Persians. With the approval of the Tsar, Nikon, the Patriarch of Moscow introduces a some four hundred pages of 'reforms' of Russian Orthodox Church practises, texts and rites including the spelling of Jesus, the Creed, how the Sign of the Cross is to be performed, the number of Hosts in the Liturgy, the direction of Procession and how halleluiah is to be performed. These are intended to strengthen the Russian Orthodox Church. Although the reforms only affect the external ritualistic side of the Russian Orthodox faith, the changes are deemed a major event by the Russian people. Also, it soon becomes obvious that Nikon had uses the reforms to centralise the church and strengthen his own authority. His forcible introduction of the new divine service books and rituals causes major discontent even among his former supporters. Some stand up for the 'old faith', oppose the reforms and petition the Tsar to have them undone. These attempts fail. An anti-reform movement known as the Raskol ('Schism') begins to grow in Russia. These anti-reformists also become known as the Old Believers. The Taj Mahal, constructed on the orders of Mughal Emperor Shah Jehan as a tomb for his beloved wife Mumtaz Mahal, who died in 1631, is completed at vast expense using specialists from all over the Muslim world to ensure that its quality and magnificence is unsurpassed. The last of the Irish revolt that began in 1641 is crushed. The Fronde civil war ends in France. Oliver Cromwell is offered the Kingship of England, but instead becomes Lord Protector of England, Scotland and Ireland. He disbands the Rump Parliament. The First Anglo-Dutch War ends with the Dutch largely agreeing to English restrictions on foreign shipping, forcing the Dutch to accept an English monopoly on trade with English colonies. It is the first war to have been fought entirely at sea. King Louis XIV of France is crowned at Rheims. The Delft Explosion devastates the Dutch city of the same name, killing more than one hundred people. The Russian Army seizes Smolensk, beginning the Thirteen Years War between Russia and Poland over the Ukraine. The Anglo-Spanish War begins over commercial rivalry between the two nations. Twenty-three British East India Company servants desert the British settlement in Surat for the Mughal Empire [as in the real world]. British forces seize the island of Jamaica in the Caribbean. The Union of Kedainiai is signed between several of the magnates of the Polish-Lithuanian Commonwealth and the King of Sweden, intending to end the Polish-Lithuanian Union and divide up the Grand Duchy of Lithuania between them. Swedish defeat at the Battles of Warka and Prostki, and a popular uprising in both Poland and Lithuania, ends this Union before it begins. Dara Shikoh, the oldest son of Mughal Emperor Shah Jehan, completes his work 'Majma-ul-Bahrain' (The Mingling of Two Oceans) in which he draws parallels between Islamic Sufism and Hindu Vedantism. He concludes that there are a great many similarities between them. On his sixty-fifth birthday, Mughal Emperor Shah Jehan confers the title Shah Buland Iqbal [Lucky Lofty Ruler] on his oldest son, Dara Shikoh, and appoints him co-ruler of the Mughal Empire [much as happened in the real world]. The pendulum clock is invented by Dutchman Christiaan Huygens. The Portuguese capture the city of Colombo in Sinhale [Sri Lanka]. Lord Protector Oliver Cromwell grants Jews permission to live and work in England [from which they have been officially expelled since 1290]. As part of his efforts to find a common mystical language between Islam and Hinduism, Dara Shikoh completes his translation of the Upanishads (the Hindu scriptures which primarily discuss philosophy, meditation and nature of God) from its original Sanskrit into Persian so it can be read by Muslim scholars. Shah Jehan, the Mughal Emperor, becomes severely ill, and is unable to attend to affairs of state [with a somewhat different sequence of events this is later than in the real world, where he fell badly ill in 1657]. Seeking an orderly succession, he appoints his eldest son, Shah Buland Iqbal [Dara Shikoh], who has already been handling affairs of state during his fathers' illness, to follow him to the throne. He is assisted in this by Shah Jehan's highly competent Wazir, Saadullah Khan. Shah Buland Iqbal is also supported by his elder sister Jahanara Begum, as well as those nobles and officers who are committed to the eclectic policies of the previous Mughal rulers. 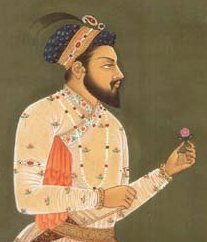 Despite the best attempts by Shah Jehan to avoid it, his other two surviving sons, Shah Shuja and Murad Baksh each claim the succession, rise up and attempt to take the Mughal throne for themselves, moving armies towards Delhi from their respective territories. In Russian, the enemies of Patriarch Nikon convince the Tsar that Nikon is in danger of eclipsing him. In protest, Nikon divests himself of the Patriarchal vestments, leaving the Russian Orthodox Church without a Patriarch. As part of the Anglo-Spanish War, Britain takes control of Dunkirk, in France. Oliver Cromwell dies. His son Richard assumes his father's former position as Lord Protector of England, Scotland and Ireland. Portuguese traders are expelled from Sinhale [Sri Lanka] by Dutch invaders, who take control of the entire island apart from the central Kingdom of Kandy. Helped by England and the Netherlands, to avoid being absorbed by Sweden, Denmark is forced to cede a third of its land and population to Sweden. With the assistance of Maharaja Jaswant Singh and his Rajput general Jai Singh, Shah Buland Iqbal defeats his younger brother Shah Shuja in battle. After his defeat, Shah Shuja retreats towards Bengal, pursued by the imperial army. After each defeat Shah Shuja loses men to desertion. The Battle of Pratapgarh establishes the Maratha Kingdom in the west of central India and significantly weakens the Bijapur Sultanate. Richard Cromwell resigns as Lord Protector of England following the restoration of the Long Parliament, beginning a second brief period of the republican government called the Commonwealth. Begum Nadira Banu, the wife of Shah Buland Iqbal (who he married in 1622 at the age of seven), dies. Seeking help to re-take the island of Sinhale from the Dutch invaders, the King of Kandy sends representatives to the nations of the Indian mainland seeking help. The war between France and Spain which has been going on since 1635 ends with French acquisition of Roussillon and most of Artois under the Treaty of the Pyrenees. England settles the island of St Helena in the South Atlantic. Charles II is restored as King of England. A synod is held in Moscow at which the many enemies of Patriarch Nikon attempt to strip him of his archiepiscopal rank and his priests' orders. This attempt fails. Construction begins on a tomb for Nadira Banu in Delhi. Shah Buland Iqbal wishes it to be a construction on the scale of the Taj Mahal, and it is to be called the Taj Banu. The Anglo-Spanish War ends with a British victory. The English Royal Society is founded. Theatres are re-opened in England. The Royal African Company is established in London, with a monopoly over the English slave trade. It is led by James, Duke of York, the brother of King Charles II. With the restoration of Charles II trade with is reopened with Russia via the English Muscovy Company which is reorganised as a regulated company at the same time. With the Restoration of Charles II many Puritans, fearing persecution, leave England for North America [much as in the real world]. Pressed on all sides, Shah Shuja, the second son of Shah Jehan, flees the Mughal Empire to the neighbouring nation of Arakan [in what is Burma in the real world]. A political crisis in Denmark leads to a coup. The old elective monarchy dominated by the aristocracy is replaced by a hereditary monarchy led by a new hereditary king, the absolute monarch Frederik III. Work begins on the Palace of Versailles, intended to be a new home form the King of France, outside of Paris but close to it. A bright comet appears over the Earth. The forces of Murad Baksh, the youngest son of Shah Jehan, are routed in the Battle of Surat. Murad Baksh himself is captured, and in an attempt to save his own life, reveals the treachery of Roshanara Begum. This does not save him from death, and he is executed for his reachery. However, the Marathas retain control of significant areas of the south-western Mughal Empire. Suleiman Shikoh, the oldest child and oldest son of Shah Buland Iqbal, dies in battle with the Marathas. Roshanara Begum is captured by forces of her brother, Dara Shikoh. After begging for her life, she is sentenced to house arrest in an haveli north of Delhi. Charles II of England marries Catherine of Braganza, the second surviving daughter of King John IV of Portugal. As part of her dowry Charles is granted Tangier and Bombay, bringing them under British control. The cities are granted a charter which makes them equal to English towns. Catherine is not a particularly popular choice of Queen, being a Roman Catholic, and her religion prevents her from ever being crowned Queen. France buys Dunkirk back from the British. The Dutch are driven from the island of Formosa after thirty-eight years there by the pro-Ming Dynasty, anti-Manchu Dynasty leader Koxinga. Having offended to King of Arakan, Shah Shuja, his family and his retinue are tortured to death by the forces of the King [much as happened in the real world]. Englishman Archibald Hamilton [son of H2 under G2] travels to India at the age of seventeen as an employee of the East India Company. Finding service in the East India Company not to his taste, Archibald Hamilton leaves it and enters the service of the Mughal Empire, seeking fame and fortune. The last fighting of the Thirteen Years War ends with a Polish victory over Russia. However, negotiations for a formal end to the war drag on. The Duke of York and Albany [James II of England in the real world], seeking to take over the Dutch trade routes and colonies while excluding the Dutch from the English colonial possessions orders the Royal African Company to capture Dutch trading posts and colonies in West Africa. This they do. At the same time English troops under the command of the Duke of York and Albany attack the Dutch New Netherlands colony in North America. Greatly outnumbered, the Dutch surrender New Amsterdam, which is renamed New York (from James's English title). Shah Jehan, the Mughal Emperor, dies. By now his son, Shah Buland Iqbal [Dara Shikoh], has firmly established his control of the Mughal Empire in his fathers place, and with his fathers' blessings. As he had promised his sister Jahanara Begum, partly in payment for her support during the succession war, new Emperor Shah Buland Iqbal lifts the ban on marriage for Mughal princesses, which the Emperor Akbar, his great grandfather, had introduced. Not long after this Roshanara Begum, the younger sister of Shah Buland Iqbal who has been held under house arrest since 1662, dies mysteriously. It is rumoured that she was discretely poisoned by Shah Buland Iqbal after thoroughly securing his position on the Mughal throne. After the provocations of the previous year, the Dutch declare war on England, beginning the Second Anglo-Dutch War. The unrestricted and absolute authority of the new hereditary King of Denmark is codified in a new Royal Law. After their defeats by the Mughal Empire, the Arakanese pirates move east but remain pirates, and thus a problem for their neighbours. With Emperor Shah Buland Iqbal on the throne the Mughal Empire, and India as a whole, remains much more unified and much less divided along religious lines. Shah Buland Iqbal [Dara Shikoh] also orders a mosque built to commemorate his son Suleiman Shikoh who died in 1662 during the succession war, and which is to include his tomb. Though officially known as the Mosque of Suleiman, it soon becomes known as the Mosque of Lost Sons. After eight years of work by a number of authors, the Shahjehannama, the authorised biography of the Mughal Emperor Shah Jehan, is competed, although posthumously. As time continues, the vast majority of Mughal Emperors, like their predecessors, commission biographies of themselves as they begin to grow old. Some of these are little more than personal propaganda, but many of them are true and accurate accounts of events that offer great insights into the reign of that Emperor. This also inspires others of the Mughal nobility and government down the years to produce their own memoirs. With the new Mughal Emperor Shah Buland Iqbal now firmly established on his throne, he sets out to retake the territory lost to the Marathas during the succession war in which he came to power. Gathering an army led by Rajput general Jai Singh, he attacks into the occupied territories. Archibald Hamilton is part of this force. The Sobor (council of bishops and other church representatives) of the Russian Orthodox Church anathematises the defenders of the 'old faith' against the reforms of Nikon as heretics and makes a number of decisions with regards to their punishment. Pro-Ottoman Cossack leader, Petro Doroshenko, wanting to connect the Ukraine with the Ottoman Empire, begins a rebellion against the Polish-Lithuanian Commonwealth of which they are a part. The Ottoman Empire attacks in support of this. What becomes known as part of the Great Turkish War begins. The start of this war forces a hasty end to the negotiations to end the Thirteen Years War which have been going on since 1654, leading to the greatest loss of territory in the history of Poland up to that date. After the Ottomans take control of the Polish-Lithuanian city of Kamieniec Podolski and defeat a small Polish army, the Poles agree to surrender Kamieniec Podolski and the adjacent region to the Ottomans and to pay tribute to the Ottoman Sultan. When news of the Polish agreement reaches the government in Warsaw, the tribute to the Ottoman Empire is refused and a large army under Jan Sobieski sent out to fight them instead. Dutch forces allied with the Bugis prince Arung Palakka invade and capture the city of Makassar on the island of Sulawesi, eliminating its role as an independent trading centre. As part of the Second Anglo-Dutch War, a Dutch raid on the River Medway, at the mouth of the River Thames, attacks the laid up English fleet, sinking or burning many ships and making off with the English flagship, HMS Royal Charles. However, they spare the Chatham Dockyard, England's largest industrial complex. The Dutch capture the English colony of Suriname in South America. The Treaty of Breda ends the Second Anglo-Dutch War, with the English keeping New York, but the Dutch gaining a relaxation of English restrictions on foreign shipping. An earthquake in Caucaso and Shemakha, Italy, kills eighty thousand people. The Russian Raskol movement gains in strength. Like his predecessors beginning with the Emperor Akbar, Shah Buland Iqbal does his best to broaden the basis of his government and secure the goodwill of all his subjects, continuing the long-running Mughal policies of religious tolerance and giving an adequate share in the administration to all classes of people. Various high-ranking officials at the Mughal Court, in particular Fazil Khan and Danishmand Khan, study the European languages, arts, philosophies and sciences with great enthusiasm, adding this knowledge to their already extensive knowledge of their Indian equivalents, including Arabic and Persian translations of the ancient Greek philosophers. Some of them effectively hold European travellers hostage to ensure they learn all they wish to [as happened in the real world]. The interest of Emperor Shah Buland Iqbal in such things helps to spread this interest around the court, and promotes the spread of European ideas through the Mughal Empire. Also, as a side-effect of the Sufi philosophy of Emperor Shah Buland Iqbal, the Mughal court reverts somewhat to the old ways, to the old Indian emphasis on plain living and the excellence of limitation of wants. The Mughal expedition against the Marathas succeeds in pushing them back from the territories they have occupied. Innovative techniques imported by European expatriates, particularly in the use of infantry, greatly assist in this. Englishman Archibald Hamilton particularly shines in this area. The high-ranking clergy of the Solovetsky Monastery in Russia rise up in opposition to Patriarch Nikons ecclesiastical reforms. The majority of monks are part of the Raskol movement and support this opposition to the centralization of the Russian Orthodox Church and so also the Russian government, which has been reinforcing this centralization. A unit of Streltsy (Russian guardsmen) attempt to suppress the rebels at the Solovetsky Monastery. The monks lock themselves in and refuse the Streltsy entry. A siege begins, with the monastery being covertly supported by local peasants and workers, and with the numbers of the rebels being reinforced by many who join them from outside. England, the Netherlands and Sweden sign the Triple Alliance against France. However, Charles II of England, feeling personally humiliated by the results of the Second Anglo-Dutch War, has only engaged himself in the Triple Alliance to create a rift between the former Dutch and French allies. The Bank of Sweden is founded. It is the first central bank in the world. Spain finally recognizes the Independence of Portugal, which has been a separate nation since 1640. The Mughal expedition pushes on into Maratha territory, defeating the Marathas again on several occasions. After the death of several Mughal commanders Archibald Hamilton rises to take command of a significant part of the Mughal forces. Sir John Narborough takes possession of Port Desire [Puerto Deseado] in Patagonia in the name of King Charles II of England.